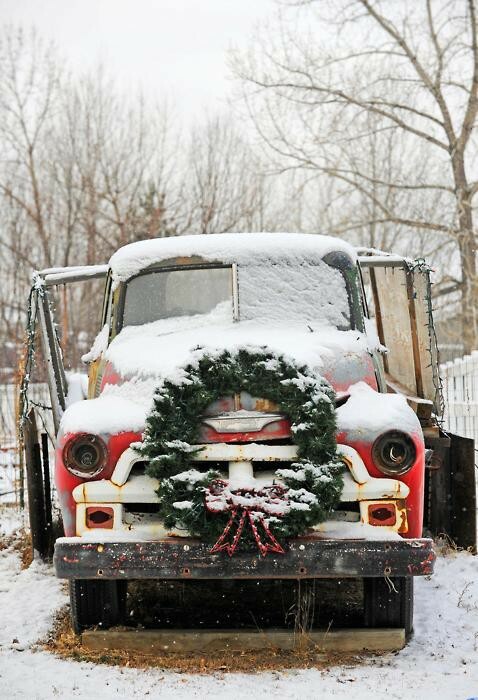 May your holiday be filled with love, laughter and many beautiful memories! I feel like October, November & December just flew by. We've been busy around here with projects (as usual). I'll be posting lots of follow-ups next year. The first thing I want to follow-up on is the Homemade Vanilla Extract I made back in October. My plan was to give this to my daughter's teachers & a few other special people for the holidays. As of January 1, 2013, it will be aged 3 months. Not only is it this beautiful dark, amber color, but it tastes amazing! 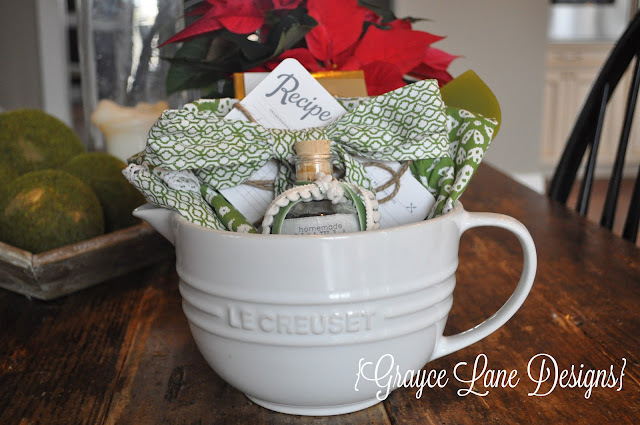 I grabbed some cute green aprons ($10), LeCreuset mixing bowls ($15...I grabbed one of these for myself, too! ), and a little rubber spatula ($2) at Home Goods. A little bag of Godiva caramels ($3) and found these adorable recipe cards (FREE). I'm pretty pleased with how they turned out. Not the typical gift card, but definitely useful. Teachers out there...what do you think? When I initially designed the interior of our house, I had planned on painting all of the interior doors a smooth, charcoal lacquer. Then, when we actually got the HUGE, solid walnut doors, I decided to stain them. But I still LOVE the look of black interior doors. Black is such a commitment, which isn't easy to turn back from...and it seems like everyone is painting things with chalkboard paint! The little can of chalkboard paint got tucked away into a drawer and sat for MONTHS. Then, I suddenly got the urge to just do it...paint it. I called hubby and told him I wanted it done...now. 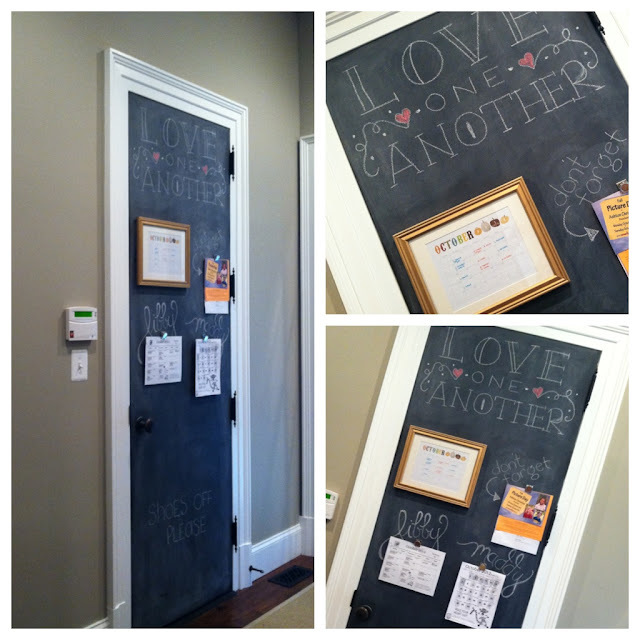 And the fact that he came home from work that evening and immediately painted that door, proves that he really wanted to do it all along. Now that it's done...I LOVE it! It's functional AND I got a black door. The frame is just a cheapie from Michael's, which I spray painted gold and glued 8 ceramic magnets on the back of it. I'm in the process of making some fun, fabric-covered magnets for the girls calendars, etc. 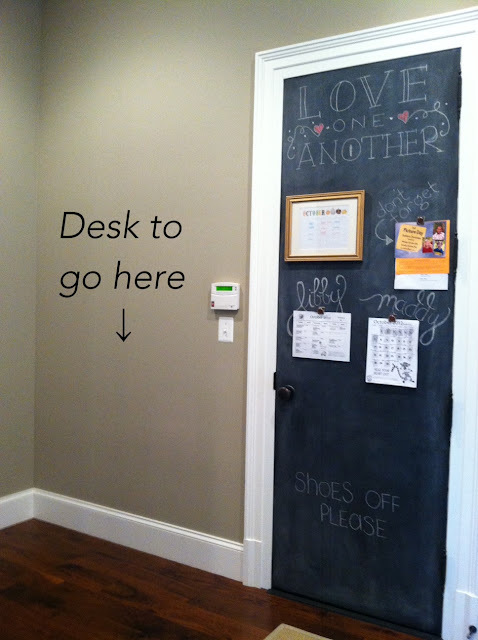 But, if you decide to jump on the chalkboard wagon, don't forget to 'season' your new chalkboard. Cooking this time of year is so much fun...all of the warm, yummy, comfort foods. This one is no different. 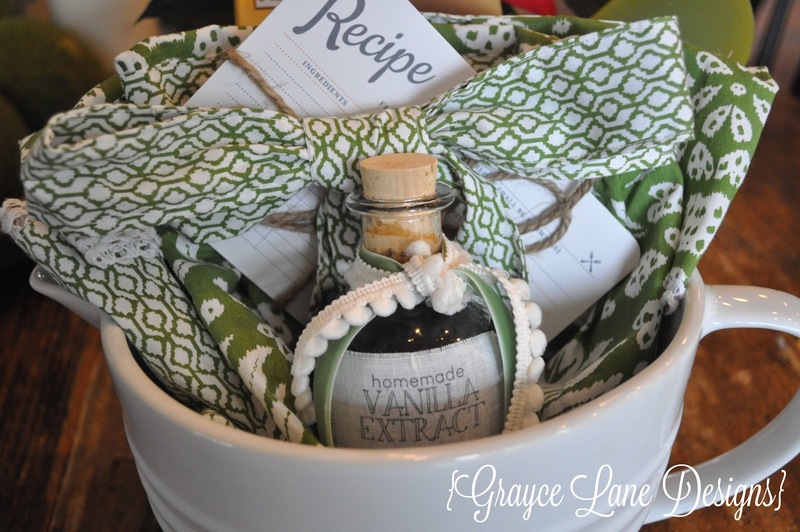 I found this recipe a few years ago and make it several times throughout the fall/winter. Very hearty and full of veggies. I'm sure you could throw in some peas or corn as well. It's not the prettiest presentation, but this is seriously delicious (and the leftovers are just as yummy!). In a large stockpot, heat olive oil over medium heat. Add the pancetta and cook for 3-4 minutes, until it starts to get golden. 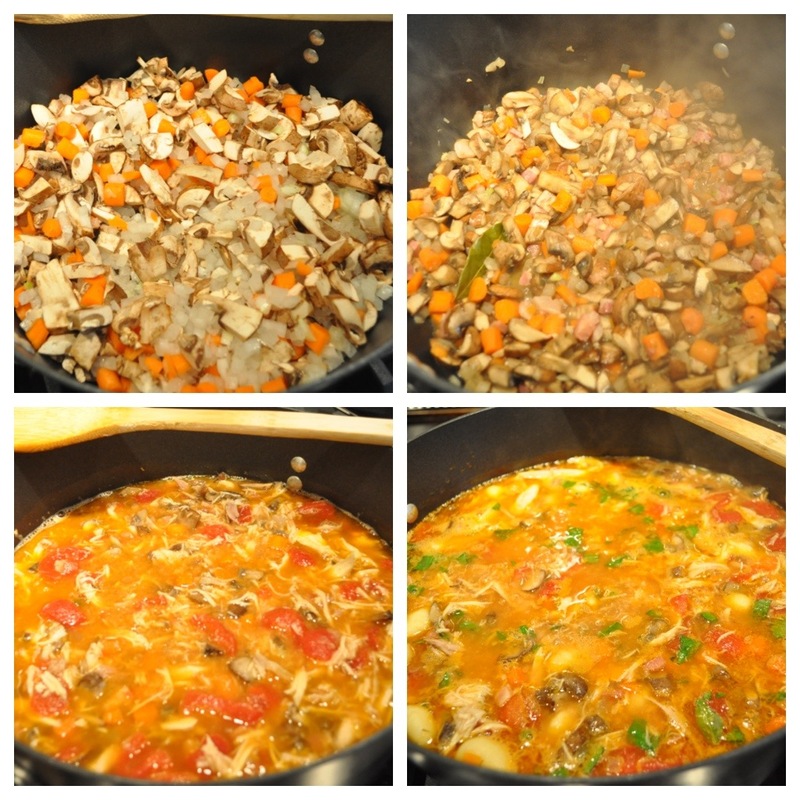 Add the mushrooms, onion, carrots and bay leaf to the pan. Sauté 5-8 minutes, until the onions start to get tender, then add the garlic and cook another minute or so. Season the veggies with salt and freshly ground black pepper, and add the shredded rotisserie chicken to the pan. Add the chicken stock and stewed tomatoes, and bring up to a light boil. Add gnocchi. Cook for 4-6 minutes. Remove the pan from the heat, stir in the basil and serve with the grated cheese. Grab your favorite pumpkin ale (or glass of red) and some fresh, rustic bread...and dig in! I read a lot about this last fall/winter and wanted to give it a try, but didn't get around to starting it until it was too late for the holidays. 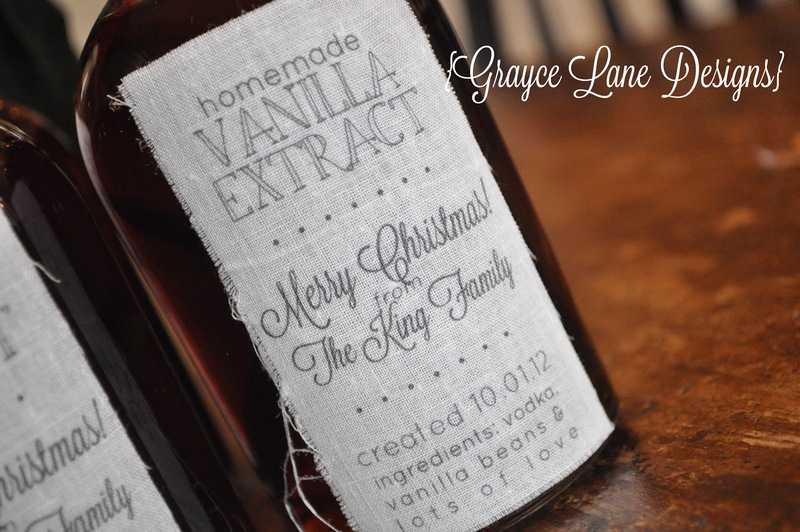 Now, I know it's just as simple to grab a bottle of the stuff at the grocery store...but I promise you, it does not taste nearly as good as this homemade stuff. 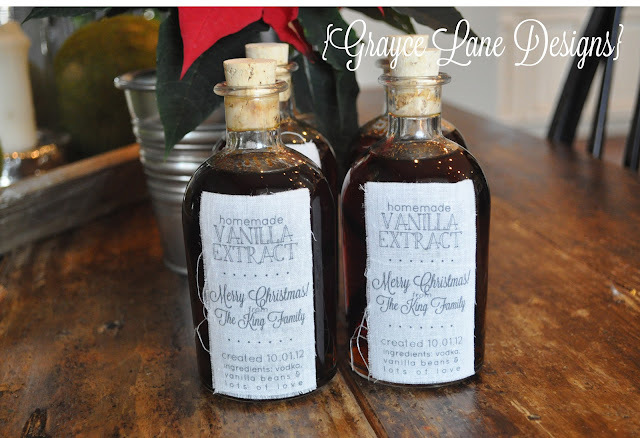 I purchased these little 8.5oz bottles at Specialty Bottle. They have a lot of bottles to choose from and ship quickly. I purchased mine at Beanilla. They actually had a sale on the beans from Madagascar, so I grabbed those. You're going to need 2 beans per 8oz. bottle. I cut mine in half so that they would fit in the bottle. I didn't use the best vodka, but I didn't use the cheapest either. You'll need 8oz (1 cup) per bottle. I'm not sure if the quality of vodka really makes any difference. I think the quality of vanilla beans is more important. Start by washing/sterilizing your bottles. Make sure they are completely dry. Carefully cut a slit in each vanilla bean lengthwise (allowing the 'bean' to be exposed). Cut each bean in half (so that it will fit in the bottle). Pour 8oz (1 cup) of vodka into each bottle. Place 2 beans (4 pieces, since you cut them in half) into each bottle. 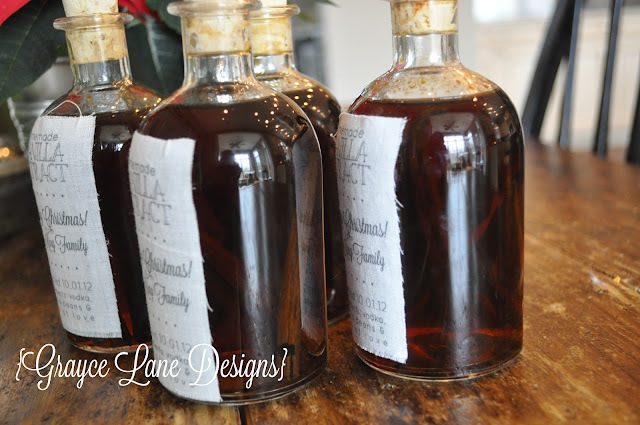 Place the bottles in a cool, dark spot (pantry or empty shelf is a good place) and let them sit for 2-3 months. It's a good idea to give them a little shake every few days. It will darken the longer you let it sit...and it will also develop a richer flavor. Some people say that you should strain the extract & remove the beans once it has developed. I prefer to leave it as is, for the exact reason that I stated above...the longer it sits, the richer it becomes. I plan on giving these to my girls teachers this year...along with some other goodies, which I'll share in the coming weeks. As soon as we moved here, hubby wanted to take Miss M camping...in our backyard. It's the perfect way to camp, since it's the first time for her. So, this weekend, he & Miss M invited some of her closest friends (with their Dads) to come over for an evening of campfire stories, bonding with Dad & of course, s'mores! I must admit, I'm pretty darn impressed that he planned the entire evening. Everyone arrived around 5pm. Hubby loaded their gear onto the tractor and hauled it down to the firepit area on the north side of our property. They all helped each other set up tents. 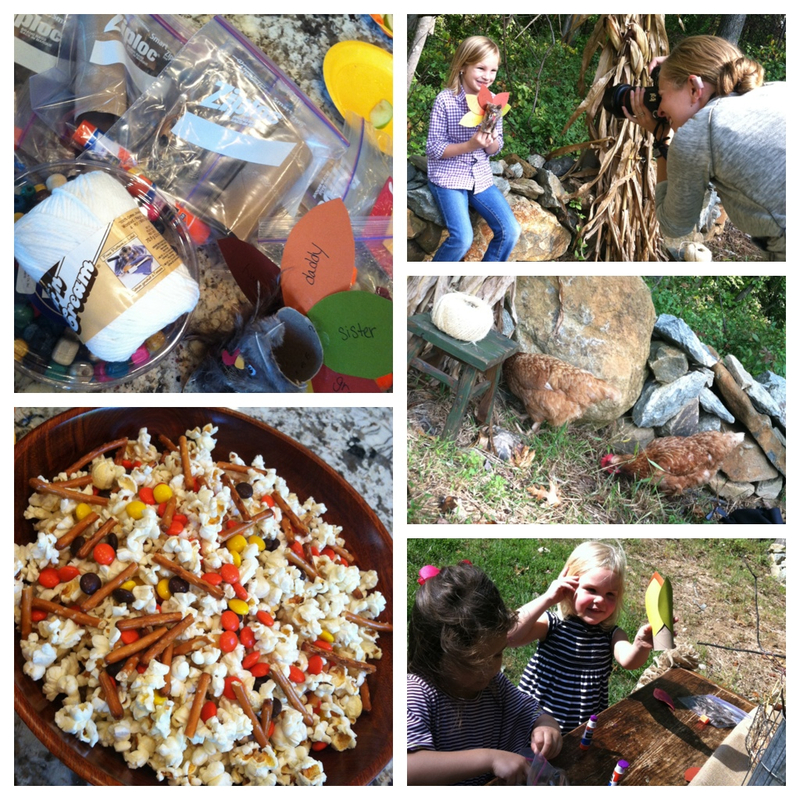 They roasted hot dogs on sticks over the fire...played games...told stories...and ate s'mores & cupcakes. Although late, they did all end up going to sleep. And the weather was perfect...it was a cool 47 degrees, so the campfire & sleeping bags were snugly and warm. Well, a couple of my nearest & dearest stayed and we had our own little sleepover INSIDE the house...complete with wine & crafting. We woke early to make breakfast for the brave campers. My amazing friend Mrs. K, is also an amazing cook...she made these pancakes for everyone! Since this was a successful run, I think it will definitely become an annual gig. Another annual 'gig' that is rapidly approaching...the winter holidays! 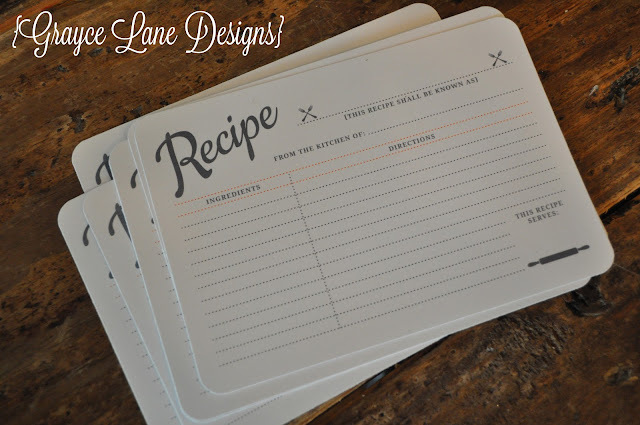 It seems crazy to me that it's already October, and yet, I'm sitting here planning holiday gifts. Anyway, I have a fun & special gift planned for the girl's teachers this year...I'll be sharing the details on Wednesday. October 1st...seems strange to me that 2 years ago today, I was living in Ocean City, MD with the girls while we had just started construction on Grayce Lane. Whew...2 years! In a large saucepan, combine the sugar, cornstarch and cinnamon. Stir in cider and orange juice until smooth. Stir in pie filling and butter. Remove from the heat; set aside and keep warm. Place oats in a food processor; cover and process until ground. Transfer to a large bowl; add the flour, brown sugar, baking powder, pie spice, cinnamon and salt. In another bowl, whisk the egg, milk, pumpkin, syrup and oil. Stir into dry ingredients just until moistened; fold in 1/2 cup pecans. Pour batter by 1/4 cupfuls onto a hot griddle; flatten with the back of a spoon. Turn when the undersides are browned; cook until the second sides are golden brown. 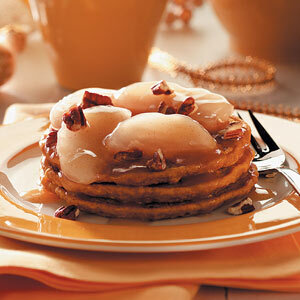 Serve with compote and remaining pecans. Store leftover compote in the refrigerator. Editor’s Note: Leftover compote may be served with hot cereal or vanilla ice cream. It’s also a tasty condiment for pork chops. We had a fun morning here at Grayce Lane. 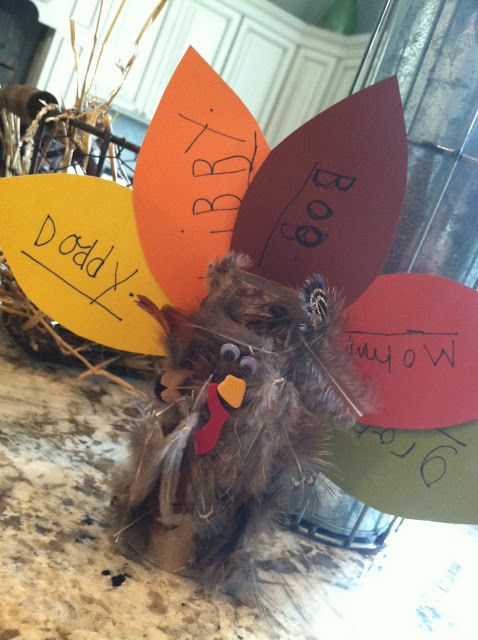 Have your child write something they are thankful for on each of the card-stock tail feathers. (If they are too little to write themselves, you can ask them & write it for them). Glue the feathers on the back of the toilet paper roll. 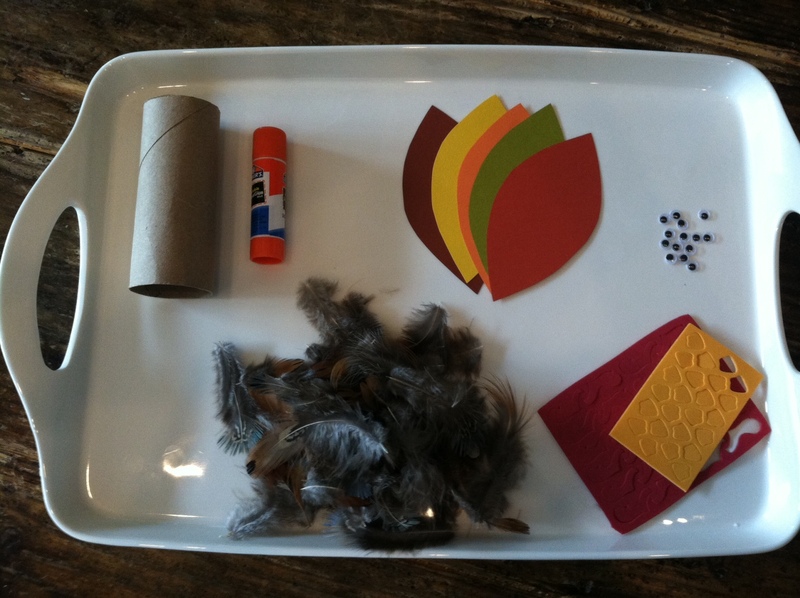 Use the glue/gluestick to cover the front & sides of the toilet paper roll and then stick the craft feathers to the 'body'. Add googly eyes, beak & waddle. Hope you've had a great hump-day!